Few months ago IROKING partnered with Eskimi and launched a new site music.eskimi.com which was designed by iROKING for over 5 Million Eskimi users in Nigeria where they can download tracks from iROKING‘s catalogue of 35000+ tracks from over 400 of West Africa’s recording artists, directly onto their mobile via music.eskimi.com. In the same pattern 2go and iROKING are joining forces to bring instant free Nigerian music downloads to the more than 9 million active 2go users across Nigeria. The fully-integrated music site will bring the likes of Timaya, Flavour and Burna Boy to the phones of the millions who use the mobile networking site to chat, make friends and share the things they love. 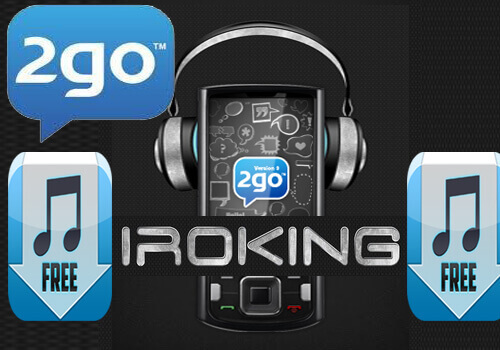 The brand new mobi site iroking.2go.im was built by iROKING and brings Afrobeats tunes to 2go users, who will now be able to download iROKING tracks for free, direct to their mobile phones. Adi Nduka-Agwu, head of Business Development for iROKO Partners says “The 2go platform has galvanized the biggest mobile messenger networking user base in Africa in an extremely short space of time, so it was only a matter of time before we were going to work with them. We are bringing Nigerian music to the millions with this partnership and we’re thrilled to be working with 2go to connect with new, young and music-obsessed audiences across continental Africa”.